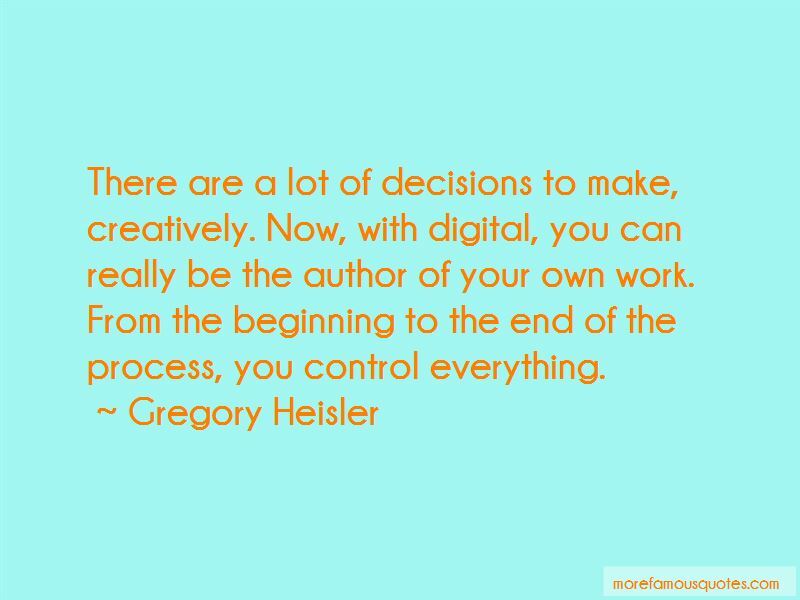 Enjoy the top 20 famous quotes, sayings and quotations by Gregory Heisler. To me, style is like your fingerprint. Nobody else has it. The picture I was hoping for is never the picture I get, but yeah, I think they fail all the time. 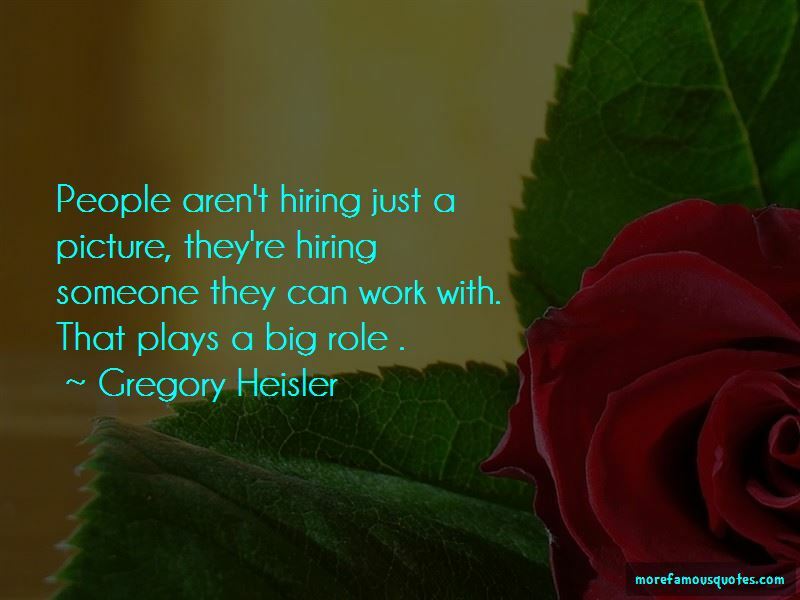 Fortunately my clients don't think they do, so I can continue to have a career. But I just look at them and think. My brother used to say some people have an "inferiority simplex." It's not that they're under the delusion that they're inferior; they actually are inferior and they secretly know it. There's no reason you'd shoot Mother Theresa and Newt Gingrich the same way. I never do pictures that I've done before - but I really try not to. Whenever I get an assignment I try to think how to shoot this person for this story in this magazine at this point in time. Magazines don't have enough confidence to have their own style, so they use a borrowed style. That is shocking to me, but your perception is very accurate. It's a way to be more commercially viable, but to me, that's not having a style, that's having a schtick. 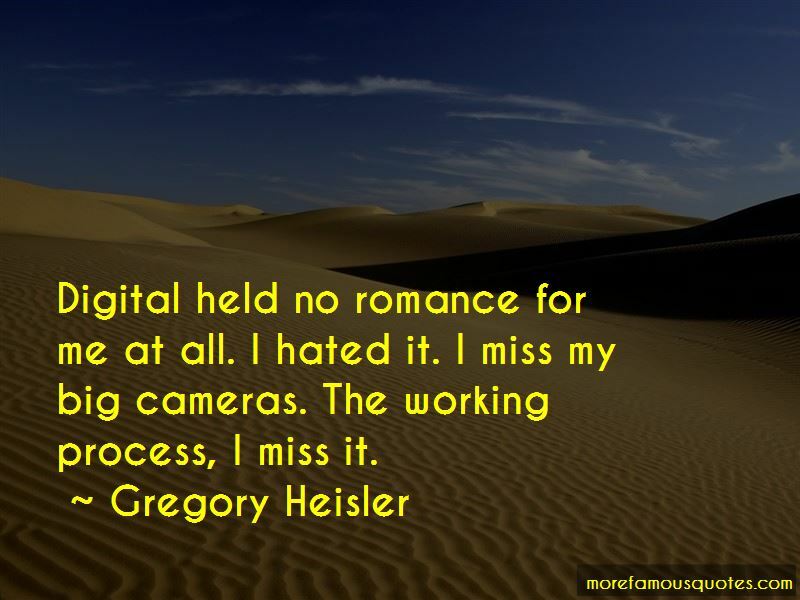 Want to see more pictures of Gregory Heisler quotes? 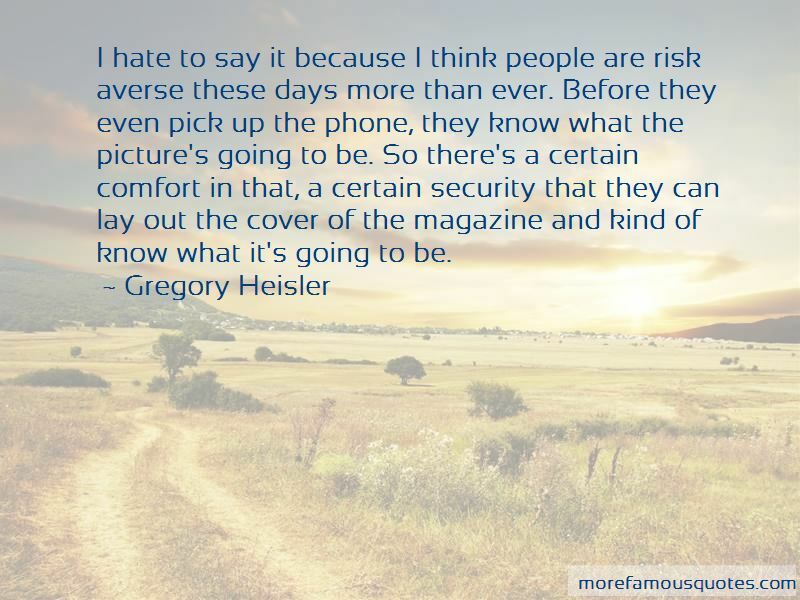 Click on image of Gregory Heisler quotes to view full size.